Bill Elward spotted a featured snippet in Google that doesn't use the primary content on the page but rather pulls from the comments section of the page. He posted the example on Twitter. 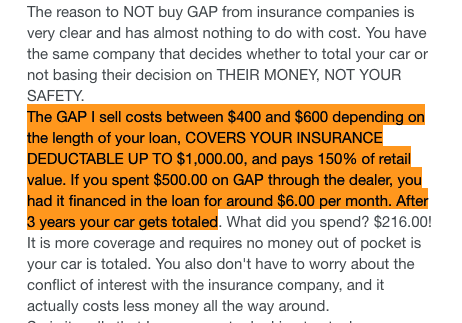 The query is [how much is gap insurance] and what comes up for Bill is a page from bankrate.com but the content in the featured snippet pulls from the comments section. Not just any comment, but from Disqus comments and it is the part in the hidden part where you have to click to expand. You can see the comment by going to comment ID 1738552295 and then for the "sales guy" post, you need to click "see more" to expand the comment and see the portion Google selected for the featured snippet. 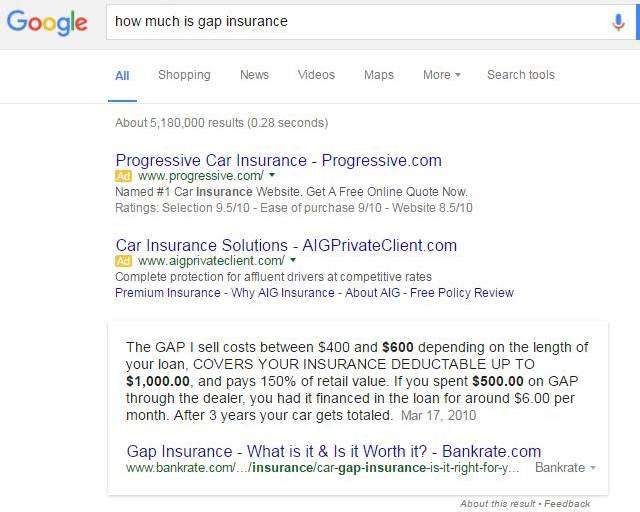 (3) The comment they pulled is in an hidden click to expand area, which Google has said they don't index or rank well.